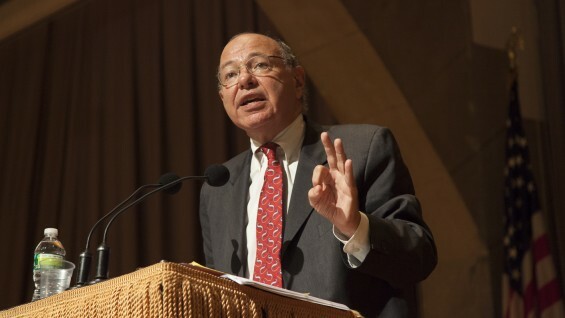 The Cooper Union is pleased to present free podcasts of Professor Burt Neuborne's remarkable 2012 John Jay Iselin Memorial Lecture Series, "Three Constitutions: Republican, Democratic and Consensus." Originally presented free to the public in the Great Hall and now in digital form, the nine lectures continue The Cooper Union's commitment to provide engaging public programming at no cost. The complete nine-lecture series is available below for streaming and download. Currently the Inez Milholland Professor of Civil Liberties at New York University, Prof. Neuborne, an internationally known civil rights lawyer, has argued before the Supreme Court numerous times and is a former National Legal Director of the ACLU. Aimed at a general audience interested in the workings of United States government and how, as citizens, they can influence its direction, the lectures explore the primary political document of the United States along with its original intentions and evolving interpretations by the Supreme Court. Over the course of nine lectures — originally scheduled for ten lectures, the series was redesigned for nine due to hurricane Sandy — Prof. Neuborne frames divisive issues like gun control and the role of religion in American politics in the terms of constitutional history and law. Timeless in the their subject yet timely in their presentation, the lectures were delivered during the 2012 presidential campaign. After their conclusion, Prof. Neuborne reflected on the enthusiastic atmosphere of his appearances: "Maybe it was the special ambiance of the Great Hall, where so many important movements for American equality were born. Maybe it was the electricity of a Presidential campaign. Maybe it was the intrinsic importance of the constitutional issues themselves. 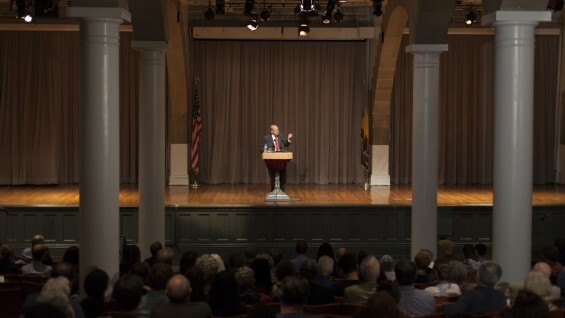 But, over the more than two months that separated the first lecture from the ninth and final lecture, I was moved by the intensity of the audience's commitment to the United States Constitution. I hope that listeners of the podcasts experience a similar level of kinship with their constitutional heritage as the original audience. " For more about Prof. Neuborne and the lectures read our conversation with him prior to his first lecture. The lectures can be heard via YouTube, or as an MP3 in your browser or downloaded by right-clicking the MP3 link and selecting the appropriate choice, e.g. "Save link as..."